Fully appointed for today's demanding business pace, the meeting rooms at Fairmont Copley Plaza echo the city's rich tradition and heritage. 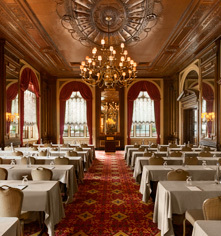 The gold-leafed ballroom can entertain up to 1,000 guests in a palatial setting. 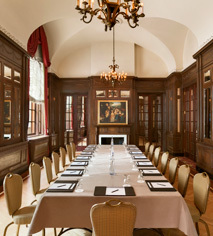 Or for a more intimate gathering, select the distinguished elegance of the Oval Room. 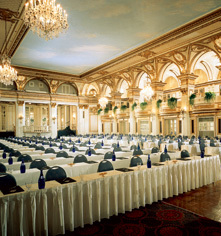 All told, Fairmont Copley Plaza offers nine meeting rooms for a combined 21,000 square feet of Renaissance-inspired conference space, matched by the hotel's impeccable staff and attention to detail.